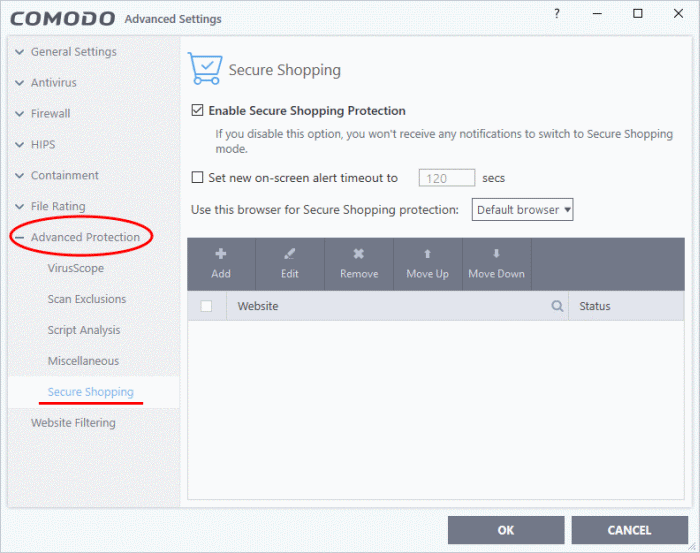 Comodo Secure Shopping provides unbeatable security for online banking and shopping sessions by ensuring you connect to those websites from within a security-hardened browsing environment. Browsers running in the secure environment are isolated from any potentially hostile processes running on your computer. 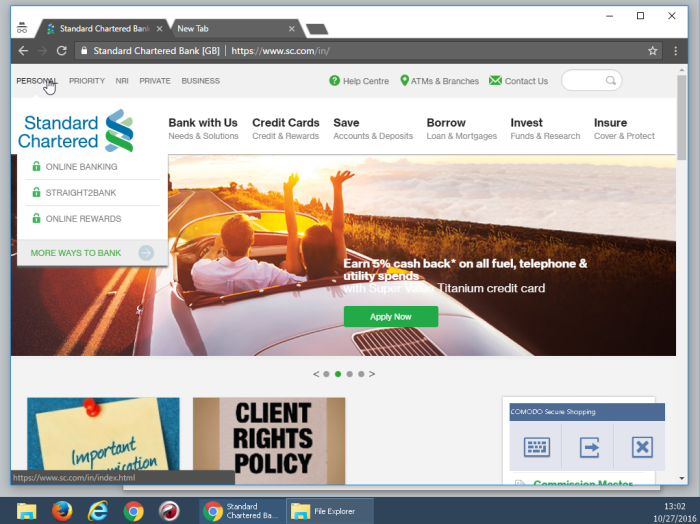 You can configure Secure Shopping to alert you whenever you visit specific shopping, banking and other websites and ask you if you want to use Secure Shopping environment, open the website in a secure browser window or continue with the same browser. Data handled by applications inside the virtual environment cannot be tracked by any other process running on your computer. The technology behind Comodo Secure Shopping is already being used by major point-of-sale and money transfer organizations to secure sensitive customer transactions. With Comodo Internet Security, we bring this same level of security to your home. 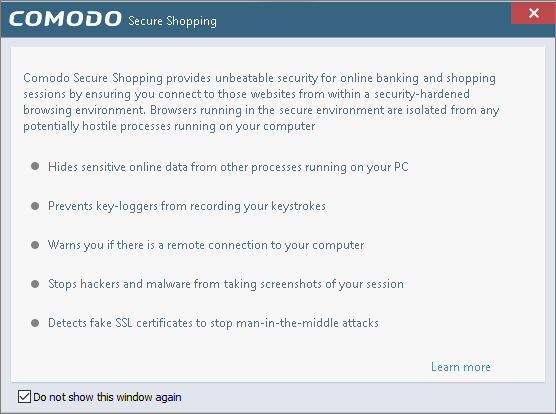 If you need a truly secure place to work and go online, then use Comodo Secure Shopping. 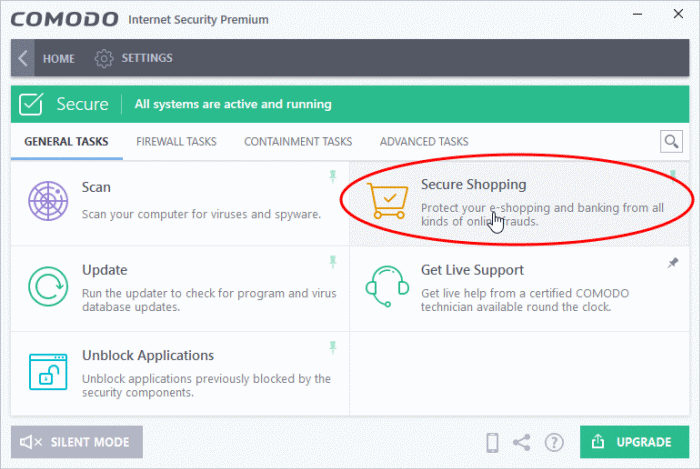 The 'Secure Shopping' configuration screen allows you to add websites for Secure Shopping protection and to configure the general behavior of the module. Status	- The toggle switch allows you enable or disable secure shopping protection for the website. Click the 'Add' button' then enter the domain name of your website. 2. Click 'OK' to add the website to the list. Repeat the process to add more websites. 3. To edit the settings for a website, select the website and click 'Edit'. The Edit Website dialog will appear, similar to the Add New Website dialog. Edit the parameters as required and click 'OK'. 4. To remove a website, select it and click 'Remove'. 5. Click 'OK' in the 'Advanced Settings' interface to save your changes. You can choose how you want to proceed with the website, from the alert. Visit in Secure Shopping Environment - The website will be opened in a security hardened, virtual environment. When inside this environment, your browser cannot be accessed or potentially attacked by other processes running on your computer. 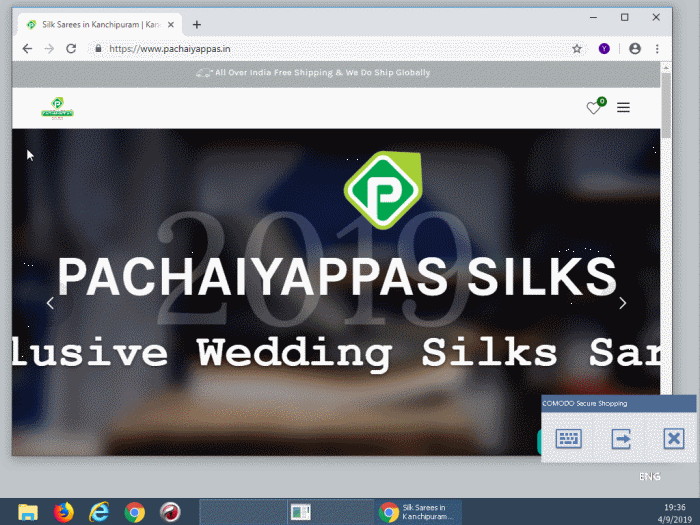 Your session will be protected by all Secure Shopping technologies (full process isolation, key-logger protection, remote connection warnings, screenshot blocking and SSL certificate checking). 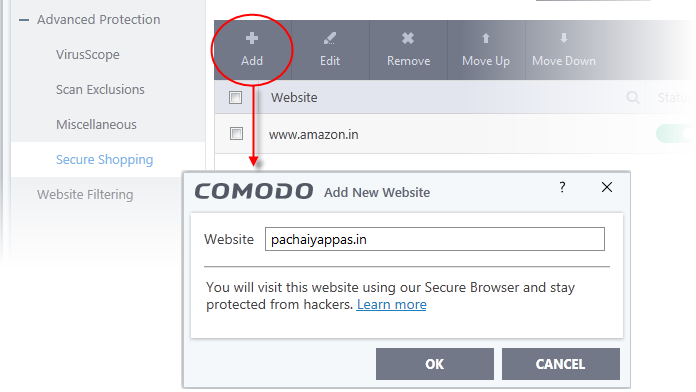 See Use Comodo Secure Shopping Environment for more details on the Secure Shopping Environment. Continue in Current Browser - Allows you to continue your browsing activities with the same browser through which the website was opened. The Secure Shopping environment automatically opens when you choose 'Visit in Secure Shopping Environment' in the Secure Shopping alert. 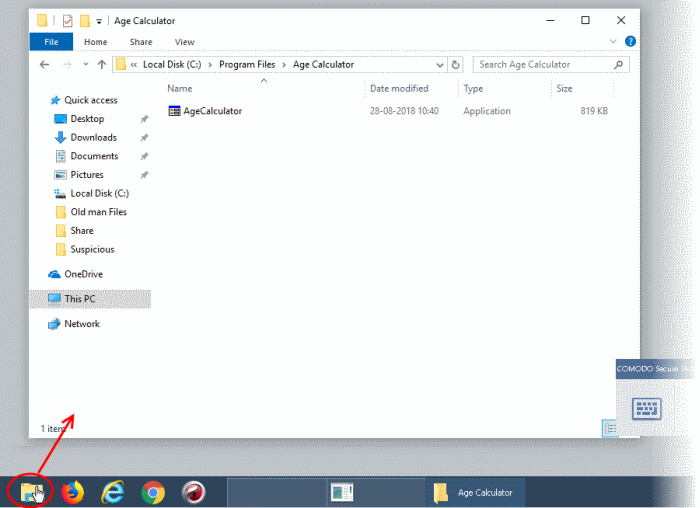 Check 'Do not show this window again' to disable the welcome screen in future. If you are visiting a pre-configured online shopping or a banking website and choose 'Visit in Secure Shopping Environment' from the alert, the environment will open automatically. 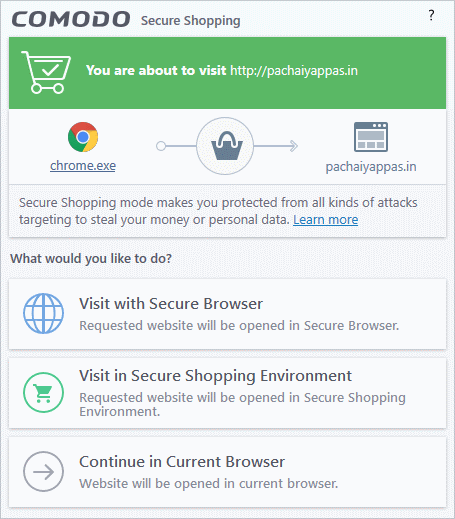 The website in the browser chosen as per the Secure Shopping configuration. 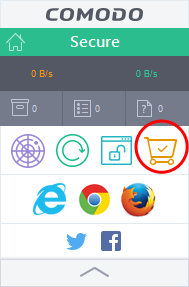 If you are opening the Secure Shopping environment manually, the environment will open with the browser chosen as per the Secure Shopping configuration. You can enter the URL of the website in the address bar of the browser. 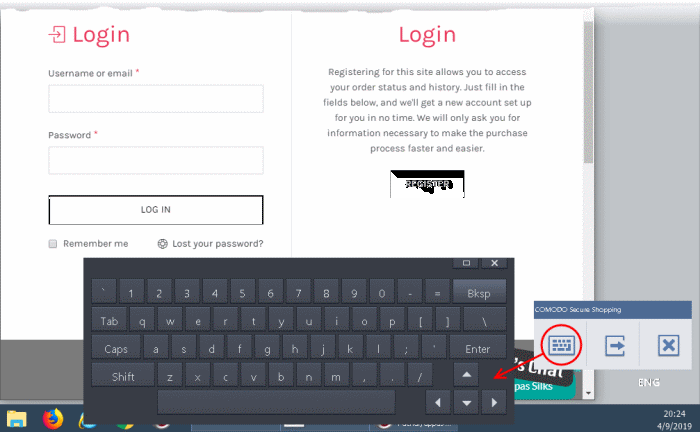 The tools panel at the bottom right of the screen lets you to open the virtual keyboard, temporarily switch back to your desktop, or to fully exit the Secure Shopping virtual environment. The tools panel at the bottom right of the screen allows you to open the virtual keyboard, temporarily switch back to your desktop, or to fully exit the Secure Shopping virtual environment. 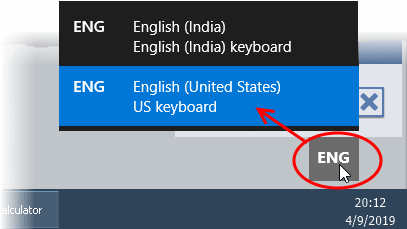 Click the language button at the bottom-right and select the keyboard layout you want to use. Click the keyboard icon in the tools panel to open the on-screen virtual keyboard. Click the button from the tools pane at the bottom right. The Secure Shopping Desktop will be hidden. You can quickly return to it by clicking the button again. Click 'Yes' to exit the Secure Shopping Desktop.